If you are looking for the Critter Sketch 100 Challenge Blog Hop Celebration please scroll down or click HERE! 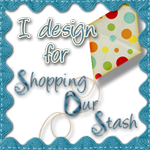 If you are here to find out what the weekly challenge over at Shopping our Stash (SOS) is this week, well the theme is "People who need People". That's right, show us your creations with people (kids, adults...doesn't matter as long as it's a person & not an animal, etc). 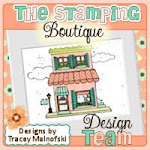 We are being sponsored by Bugaboo Stamps and there's a great prize up for grabs. For my card I used The Greeting Farm's Princess Anya and made this super simple card using up scraps from my bin and some rhinestone stars I've had FOREVER!! Pretty in Pink, right? I coloured her with copics and outlined her with my spica gitter pens. Don't you just love her pink eyeliner? It's a super easy challenge this week so I hope you'll play along with us. 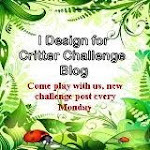 Critter Sketch - 100th Challenge Blog Hop Celebration!! Can you believe it? Over at Critter Sketch Challenge Blog we are celebrating our 100th Challenge & we decided to have a super fun blog hop to celebrate. We have some wonderful sponsors along the way helping us celebrate so you don't want to miss out as we are showcasing some of their images in each of our creations. If you haven't started at the beginning you need to head over to Justyna's blog to begin. If you hopped along from Lisa's Blog you are in the right place as I'm the last stop on your hop!! The blog hop will run for a full week (ending February 5th) so you have plenty of time to play along for your chance to win 3 prizes from our blog hop sponsors. In order to participate you have to comment on each post along your hop, complete a project using the following sketch & upload it to the Critter Sketch Blog. This image is called "Eskimo Kisses". Isn't it so cute? As soon as I saw the image I knew I wanted to make a blue & white card & I had the perfect paper in my scrap bin. I coloured the image with copics and added tons of glitter to the trim on the jacket. The snowflake brads, white ribbon, chipboard sentiment & pearls were added to complete it. Don't Forget!! 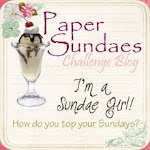 Blog Hop Celebration Tomorrow! 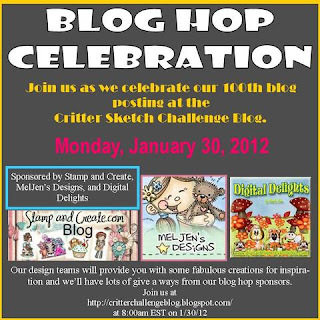 Tomorrow is our 100th Challenge & Blog Hop Celebration over at Critter Sketch Challenge Blog. 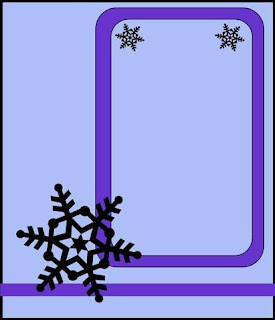 Oh boy....after the last week of weather we had here in BC I think this week's Shopping Our Stash Challenge #36 has the perfect title "Winter Blues". I definitely have them and can't wait for spring!! But seriously our theme is super simple this week: Shop your stash and pull out items that are BLUE! You can have other colors, just be sure to use any shade of BLUE as the primary focus. Easy, right? I used all scraps from my scrap bin and this is almost the last of my scraps from this Kaisercraft line which I absolutely love and wish I had more of. I used one of my spellbinder dies that I've had for a few months now and hadn't used yet and centered my sentiment on top of it. 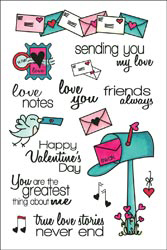 The digi sentiment is from a Gratitude Set I got from Whimsy Stamps. It's a great set of digi sentiments that I know I'll use often. I coloured all of my pearls blue to match with my copic markers & used Tim Holtz Distress Ink in Stormy Sky to ink around the sentiment and add some colour to my scrap of lace. The flower is one I had left in a package from Petaloo. Super simple this week and NO colouring which made me happy only because it was a hectic week and I had no time to colour. So will you be playing along with our Winter Blues Challenge this week? I sure hope so as the rest of the design team have some beautiful creations to inspire you! I used up some of my Bo Bunny scraps I had leftover from the card I posted yesterday and paired it with this super cute Sugar Nellie image "Luvvie". I used a sentiment stamp that I picked up from the $1 bin at Michaels last year and added a puffy sticker heart, some prima flowers & pearl brads to complete. Perfect card for Valentine's Day. I coloured this super cute Magnolia "Tilda Holding Hearts" image with copics & paired it with some Bo Bunny paper. I added some red puffy heart stickers covered with glitter & some ribbon from my scrap drawer to complete. I even used my copic airbrush to airbrush the background behind this sweet image. Unfortunately I used up all my canned air so will have to go pick some more up soon. 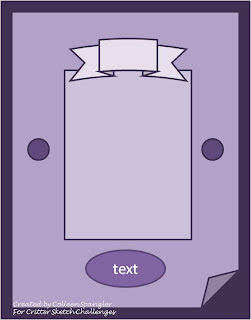 Be sure to play along this month for your chance to win some fabulous images from the Robyn's Fetish Store! OK, so with everything going on with me lately I CLEARLY do not know what day it is! I just realized I had scheduled my blog post for the wrong day so here I am revising it and posting it now. Better late than never, right? 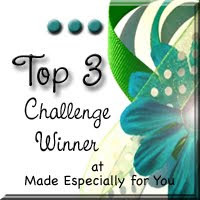 Over at Shopping our Stash Challenge Blog we have a fun challenge for you this week. Challenge 34: Show us something that Sparkles, has glitter & shines and/or use a Dilly Beans image on your creation. Who doesn't love bling? I coloured the image with copics and then added tons of cotton candy stickles to her dress. I added even more glitter her crown using my spica glitter pens. The best use of my stash this week were these puffy, sparkly heart stickers which I have a whole bunch of. The paper is from a Bo Bunny line (you know I love me some Bo Bunny)! This image is so perfect for Valentine's Day. 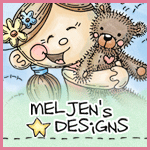 Dilly Beans Stamps is our sponsor this week so be sure to play along for your chance to win 5 digi images from Megan's site! The rest of the DT has some amazing inspiration for you this week so be sure to check them out here! I love the paper line that I chose to use with this card but can't recall the manufacturer because it was all in my scrap pile! I used my swiss dots cuttlebug embossing folder & my spellbinder circle & circle scallop nesties to cut out the image. Of course this wouldn't be complete without a bit of sparkle so I added some cotton candy stickles to the little butterfly. The welcome baby sentiment is a stamp by Whipper Snapper. This is the first baby card I've made in quite some time & I just fell in love with it. Thank you to the OCS team for having me join you this month! It was so much fun! Critter Sketch Challenge - Celebrate! 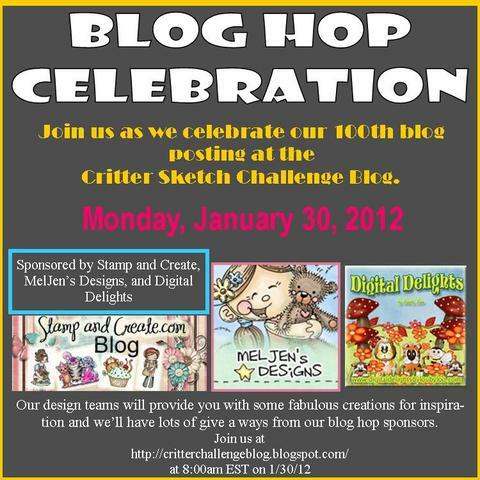 We are having a celebration over at Critter Sketch Challenge Blog this week! 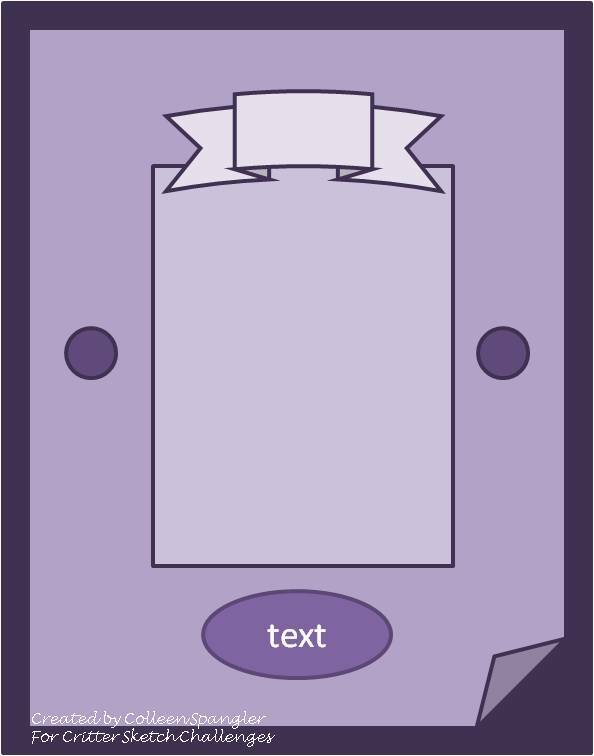 That's right....we want to see your cards or projects that display a celebration. It can be a birthday, new years project, new baby, marriage or job. There are so many ways to display a celebration & we can't wait to see what you come up with! For my card I chose to make a birthday card for my son who turns 12 on January 1st (yep he's a New Year's baby)! I coloured these super cute Stampendous Monkey's with copics and paired them with ribbon & papers from my scraps bin. I tell you I'm on a roll using up my scraps lately and that makes me very happy! I also added two large rhinestone brads to complete it. Our sponsor this month over at Critter Sketch is Robyn's Fetish so be sure to play along for your chance to win a fabulous prize from them! The DP was from my scrap bin & the cardstock was Bazill.